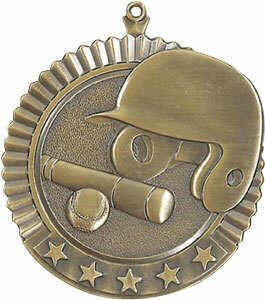 Thank you for viewing our baseball medals. 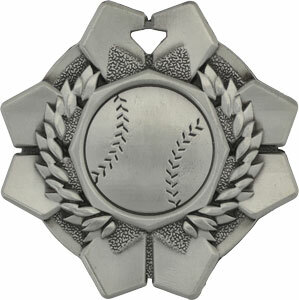 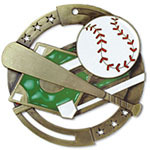 On this page, you see the 16 different style of baseball medals that we offer, such as dog tag baseball medals, spinning baseball medals, 3D baseball medals, tri-color baseball medals and of course conventional baseball medal. 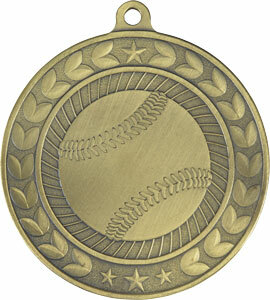 Baseball medals come with 7/8" x 30" red, white & blue neck ribbons. 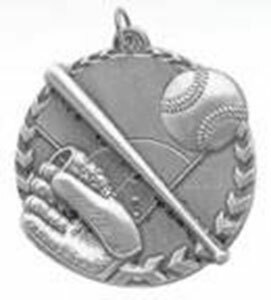 If you would like a different color neck ribbon or a wider 1 1/2" x 30" neck ribbon or a neck chain or pin drape you can make that selection when you purchase your medal. 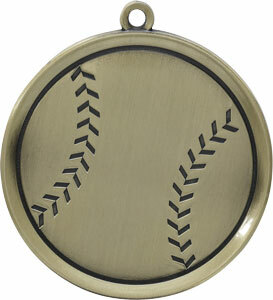 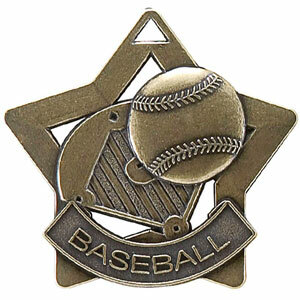 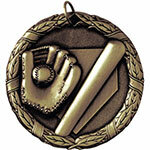 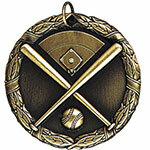 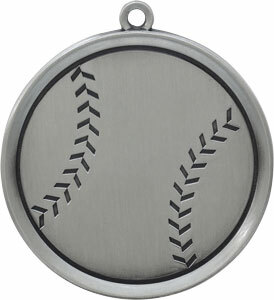 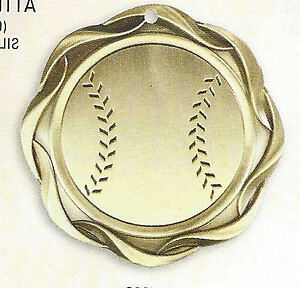 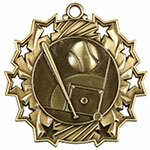 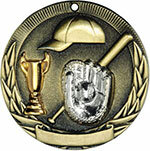 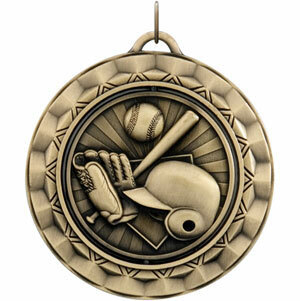 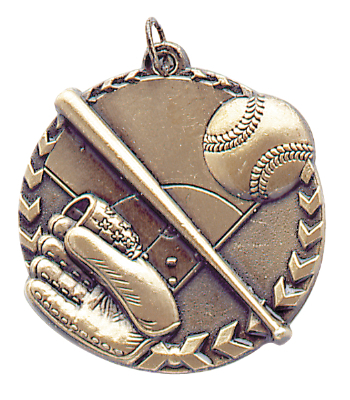 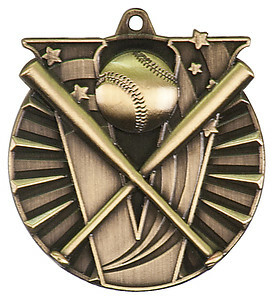 In most of the styles of baseball medals, you can choose from gold, silver or bronze. You can customize most of the medals by adding engraving. 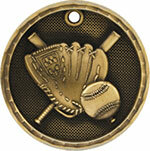 Engraving is only 7 cents per letter. 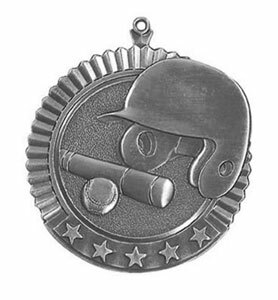 Each style baseball medal comes in five pricing options so you can get the best price for the number of medals you need to purchase. 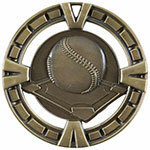 H & R Trophies do accept school purchase orders with the proper form & approval signature. 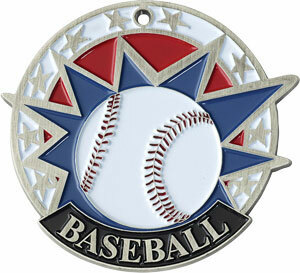 For more information please call one of our friendly staff at 800-787-8777 or use the contact page.